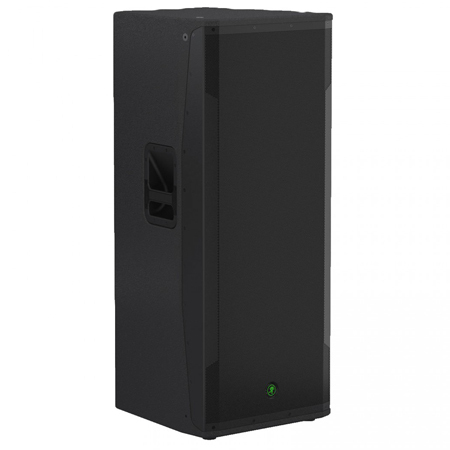 Mackie SRM 1600W High-Definition Powered Loudspeakers deliver on Mackie's "Built-Like-A-Tank" SRM legacy in professional-grade all-wood designs with the output, clarity and simplicity you demand. 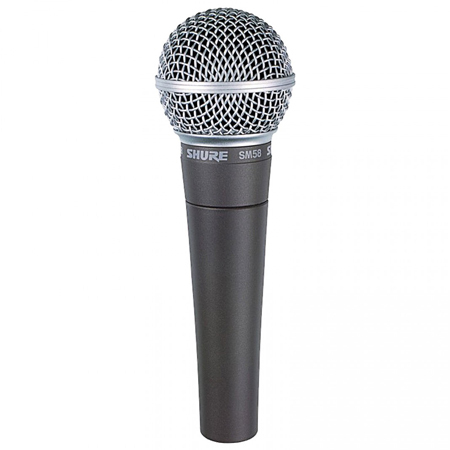 Featuring Mackie High Definition Audio Processing™ and optimization tools like application-specific speaker modes and a feedback destroyer, SRM is the ultimate modern everyday PA speaker. 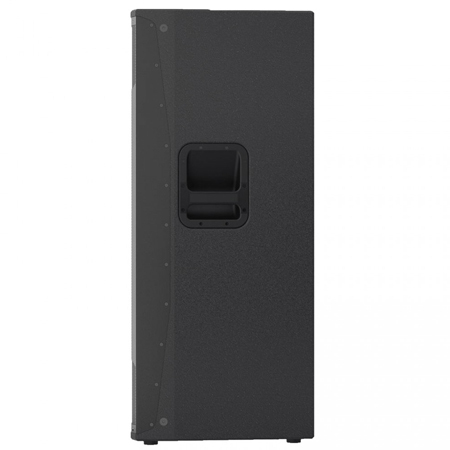 Mackie SRM 1600W High-Definition Powered Loudspeakers deliver a new level of SRM ruggedness, output, clarity and simplicity. Three powerful boxes provide the right sound for any application. SRM loudspeakers deliver the modern output, amazing sound and proven durability you demand from your system. Flexibility is critical with a portable PA system. That's why SRM loudspeakers feature an integrated 2-channel mixer than can handle anything you can throw at it. Each channel sports Mackie's Wide-Z™ inputs that are custom-designed to handles anything from mics to guitars to mixers with a single twist of a knob plus a stereo RCA input perfect for smartphones or laptops. 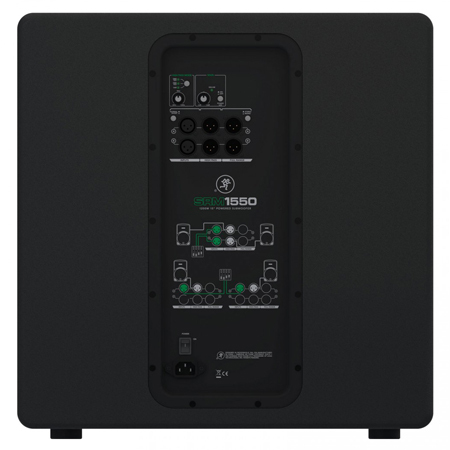 1600W system power paired with custom transducers deliver gig-level volumes with room to spare. 2 x 15? high-output LF drivers / 1.4" titanium dome compression driver. "Built-Like-A-Tank" all-wood, internally-braced cabinet delivers professional-grade road-worthiness. Rugged 18-gauge steel grille and fine-textured, sleek black cabinet finish. Front ported for maximum low-end extension and punch. 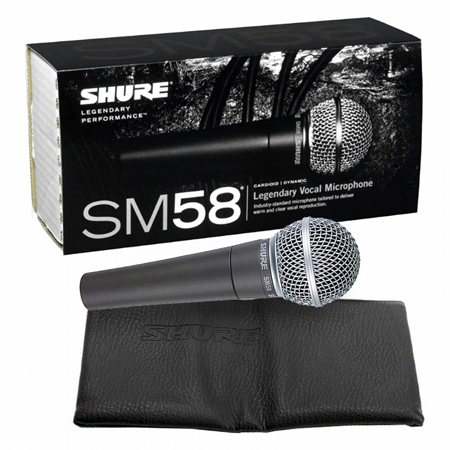 High-Definition Audio Processing for professional sound with unmatched clarity. Patented acoustic correction developed with touring geniuses at EAW. Quick one-button Speaker Mode selection for application-specific voicing (PA, DJ, Fill and Speech). Effortlessly eliminate nasty feedback with one-button automatic Feedback Destroyer. Integrated 2-channel mixer featuring dual Mackie Wide-Z inputs. 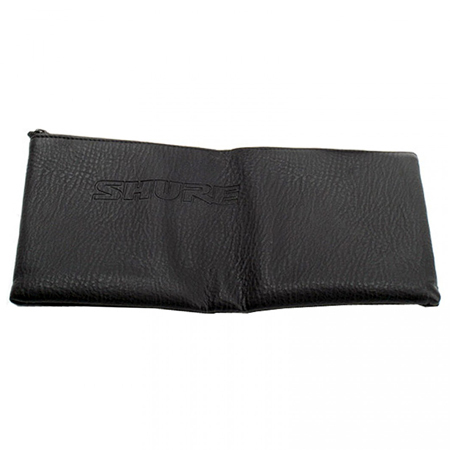 Handles anything from mics to guitars to mixers with a single twist of the gain knob. Includes stereo RCA inputs for easy connection to music source. 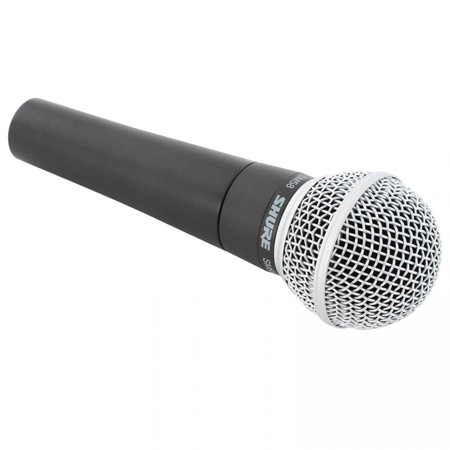 Perfect for the singer/songwriter, plug in and leave the mixer at home. Smart Protect DSP kicks in to protect your investment when things get pushed a little too hard. Flyable both vertically and horizontally via standard M10 eyebolts. 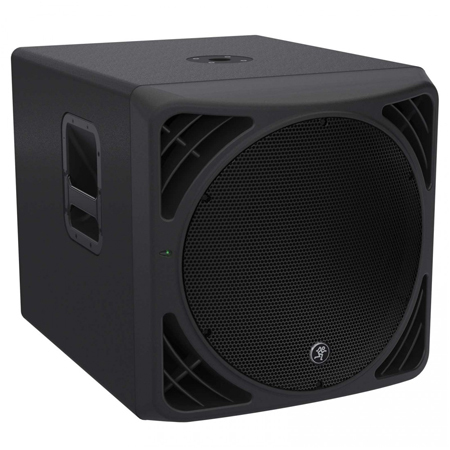 The Mackie SRM1550 powered subwoofer is designed from the ground up to be the perfect match for SRM450 and SRM350 speakers, delivering 1200W of raw power paired with a custom high-output 15" woofer for powerful room-shaking performance. The road-worthy internally reinforced Poplar cabinet delivers on the "Built-Like-A-Tank" legacy that the SRM series is known for and its front ported design provides maximum punch and low-frequency extension. 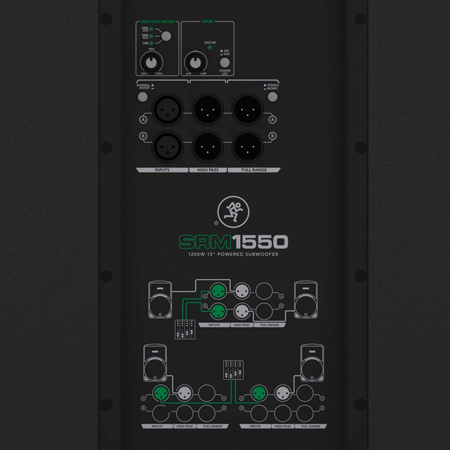 The SRM1550 features stereo XLR inputs, full-range and high-pass outputs plus a variable digital crossover that includes presets for the Mackie SRM350 and SRM450. Get the powerful low end you need from the subwoofer built on the proven SRM legacy. 1200W of power paired with a 15? 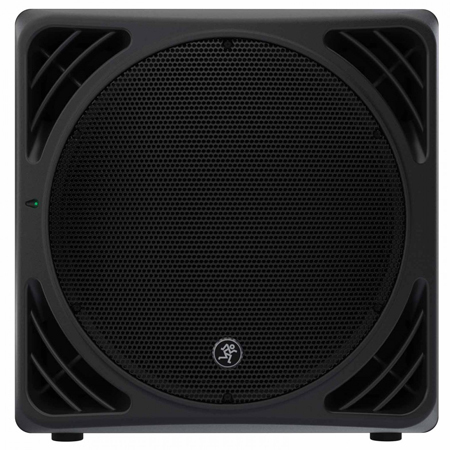 custom high-output woofer with 3" voice coil delivers gig-level volumes with room to spare. Same cosmetic design as the renowned SRM450. 18mm, internally reinforced poplar cabinet and steel grille. Front ported for maximum low-frequency extension and punch. 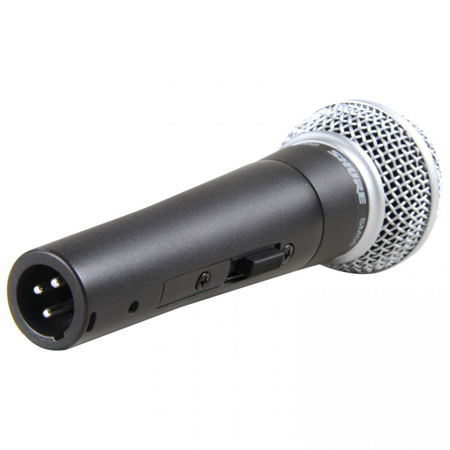 Stereo XLR inputs plus stereo XLR full-range and high-pass outputs. Integrated digital crossover with variable control and presets for Mackie SRM350 and SRM450 loudspeakers. Built-in cup for easily pole-mounting full-range loudspeakers. The Mackie SPM200 Speaker Pole Mount is a heavy-duty pole for mounting your loudspeaker on a subwoofer. 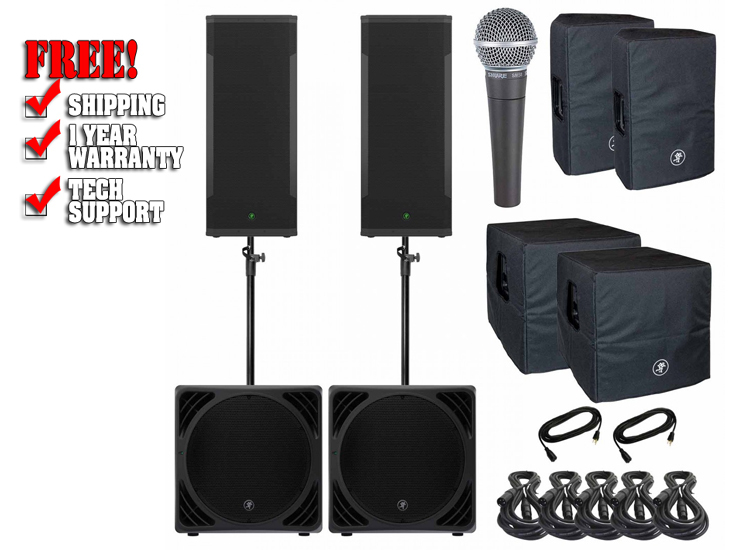 It's ideal for use with the following Mackie speakers: TH15A, SRM350 (v2), SRM450 (v2), HD1221, HD1521 and HD1531 speakers with SRM1801, HD1501, HD1801 subs, and more. 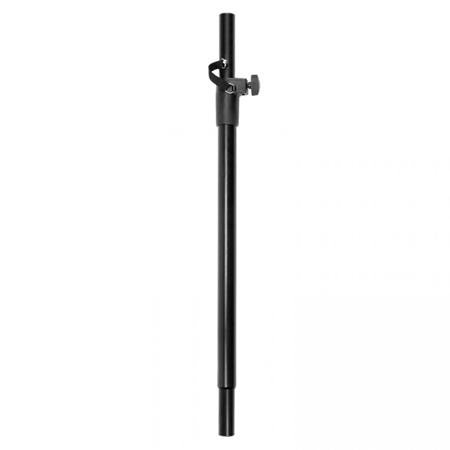 The speaker pole mount can hold up 100 pounds.